The Bay Area Photographers Collective is grounded in the belief that there is a need for an institution devoted to the development of a photographic community and its concerns. 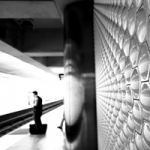 The Collective provides a home base for Bay Area photographers devoted to their art. The Collective promotes and encourages independence, experimentation, cooperation, and creativity. It sustains a community of photographic artists through support, spiritual sustenance, encouragement, and constructive critique. It pursues the exhibition of members’ work on a professional level. In January 1999, a group of San Francisco Bay Area photographers, inspired and led by documentary photographer and teacher Frank Espada (1930-2014), met to create a community of photographic artists. Currently, we comprise between 20-30 photographers, working in all aspects of the photographic arts. Responsible for assuring the smooth operation of the organization. Acts as a contact for potential new members and guides the membership process. Manages how the group communicates with other organizations, sponsors and media. They publicize group events and exhibits and maintains web and social media channels. Plans and organizes peer reviews, artist presentations, workshops, salons, and other activities. Seeks exhibition opportunities, organizes, and mounts shows. The Collective mounts one to three group shows each year. 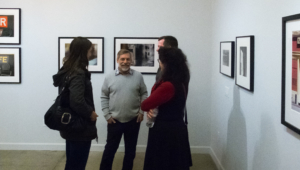 Venues have included Rayko Photo Center, the Commonwealth Club of California, Mina Dresden Gallery, The Berkeley Arts Center and San Francisco City Hall. 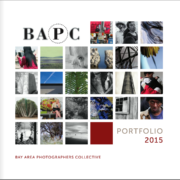 Every year we publish a group portfolio. BAPC’s first group show took place August 2000 at the Commonwealth Club of California in San Francisco. Since then, we have staged group exhibits once or twice a year.